To the north of Custom House station, you’ll find Freemasons Road. To the south, the ExCeL centre and Royal Victoria Dock. But how can visitors and residents alike move more freely between them? This was the question at the heart of our collaborative workshop, held with London Festival of Architecture (LFA) in November. Local residents and business stakeholders worked with five teams of architects to map out designs that will make navigating in both directions effective, accessible, even fun. Workshops like these are known as 'charrettes', and are common in architectural circles. Charrettes provide a format for fostering original ideas, and thinking collectively. There's a real opportunity in a well-run charrette for both sides to hear each other's point of view, and to work through and resolve it. The biggest objectors can become the biggest supporters. That's the magic of a charette. Ash Sakula Architects included this landmark for Custom House in their proposal. A charrette process means, firstly, that no idea is off-limits. The purpose is to dream big and to imagine wild and brilliant solutions; there were no budgets, no deadlines, no constraints. The ideas you'll see below aren't costed out, let alone planned or scheduled. 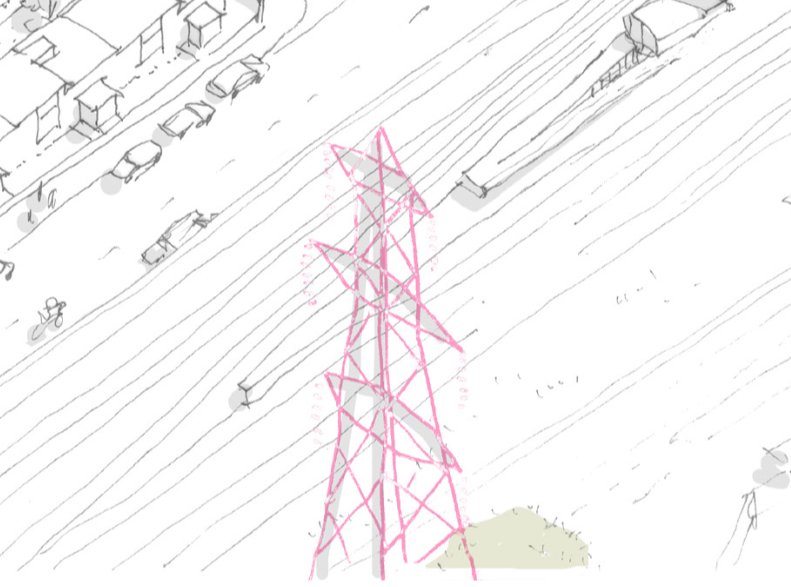 We may not be seeing florescent pink pylons lighting up near Custom House station any time soon, nor an entire shopping parade being transplanted 20 metres. But these plans will supply inspiration for the future. Charrettes also fuel reciprocity, bringing together stakeholders who might ordinarily have little opportunity to get around the same table. 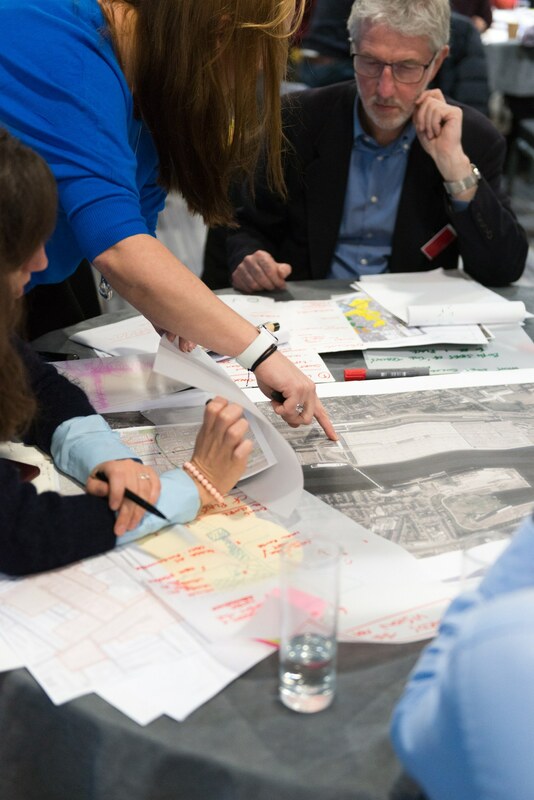 Involved in the LFA Royal Docks Design Charrette were Citizens’ Assembly working groups, TfL representatives, Newham council managers, and business stakeholders from both sides of the docks — all groups profoundly invested in the neighbourhood. Alongside them, the presence of architectural firms injected something different entirely: professional neutrality. The teams were given a copy of this map, indicating the main areas of focus. How can interventions further 'Good Growth'? 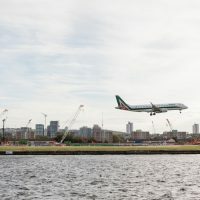 Judges were asked to consider schemes that demonstrate support within the Royal Docks Enterprise Zone and within Newham as a whole for the aims of the Good Growth London Plan policies. 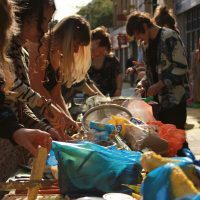 How can we curate and enhance the experience of arrival to the area? How can we ensure transport infrastructure does not further separate the local community from access to the docks, businesses, and amenities? How can the station integrate with the existing local area? How can the station and wider environment benefit all local residents, of all ages? 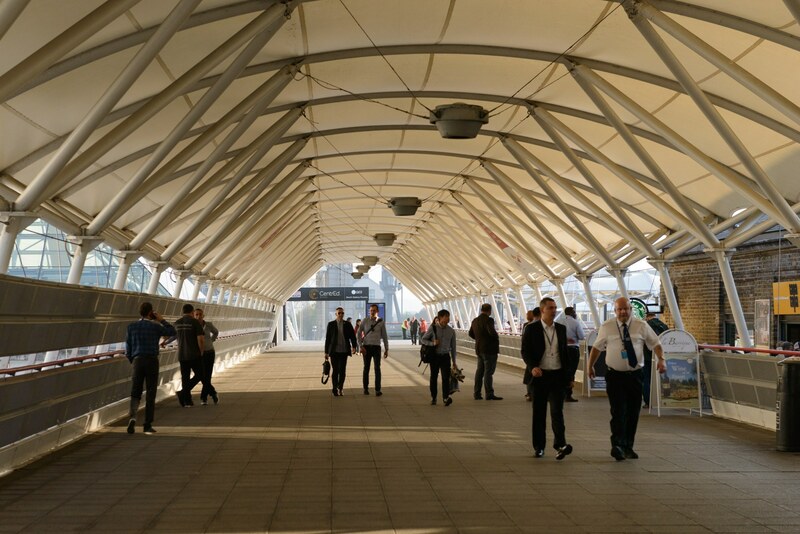 The ExCeL welcomes around four million visitors a year, and most of them pass through this walkway from Custom House DLR. 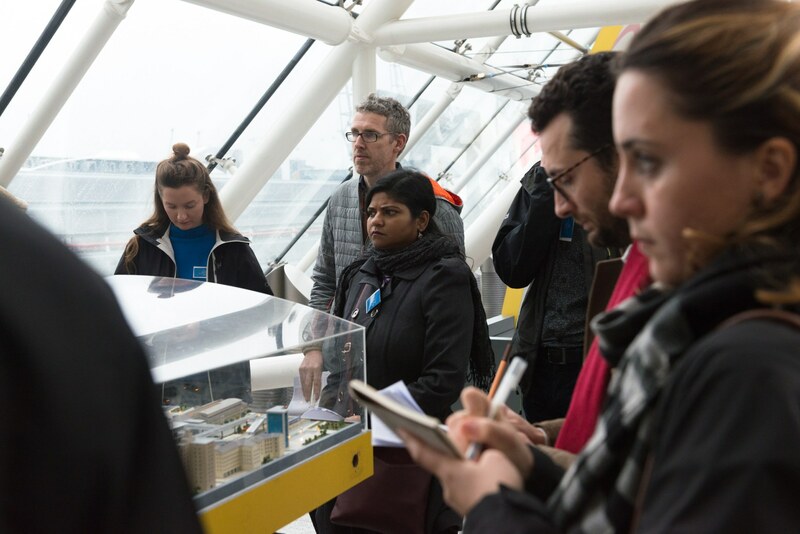 After meeting in a conference room in CentrEd at ExCeL over coffee and tea, delegates set out on the first phase of the day: site visits to get a feel for the project focus area. 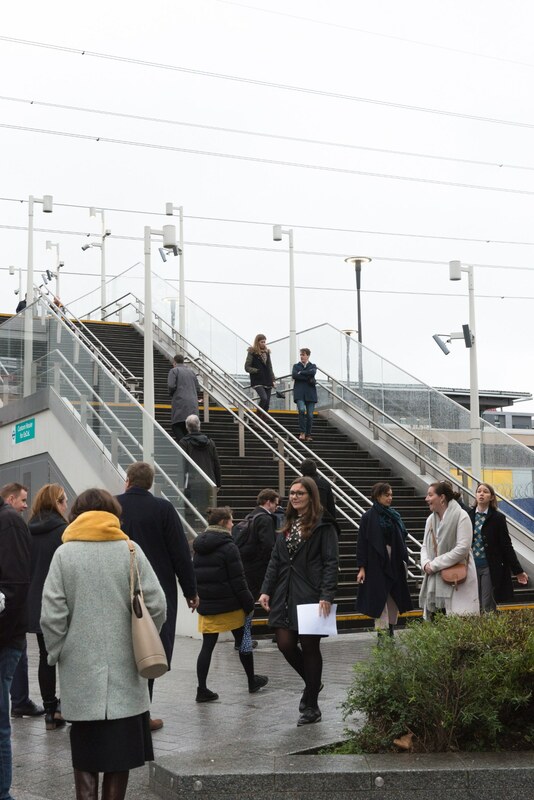 In the ExCeL foyer, the centre’s head of marketing and communications, Lucy Merritt, said the Elizabeth Line would have a transformative effect on ExCeL. Shorter journey times would draw more senior decision-makers to its conferences and increase dwell time for all visitors. 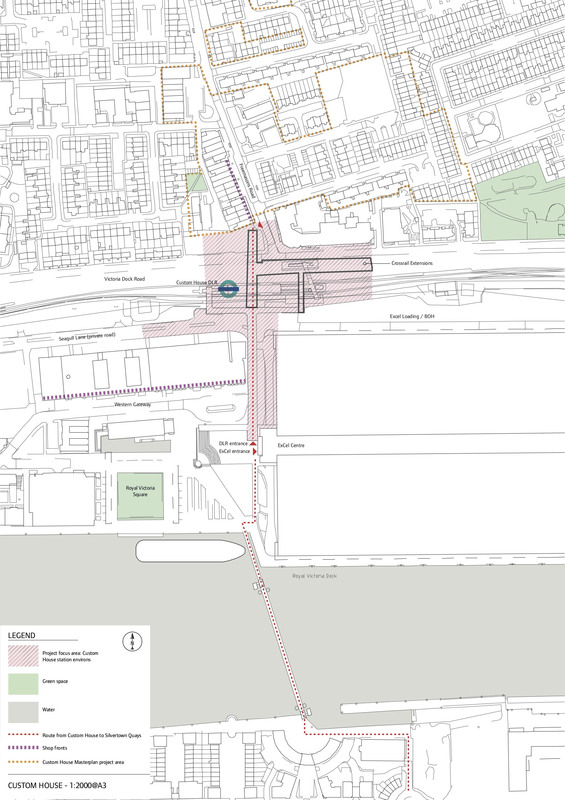 “People do perceive us as difficult to get to,” she said, but the new route would change that completely, connecting Custom House to Liverpool Street in 10 minutes. 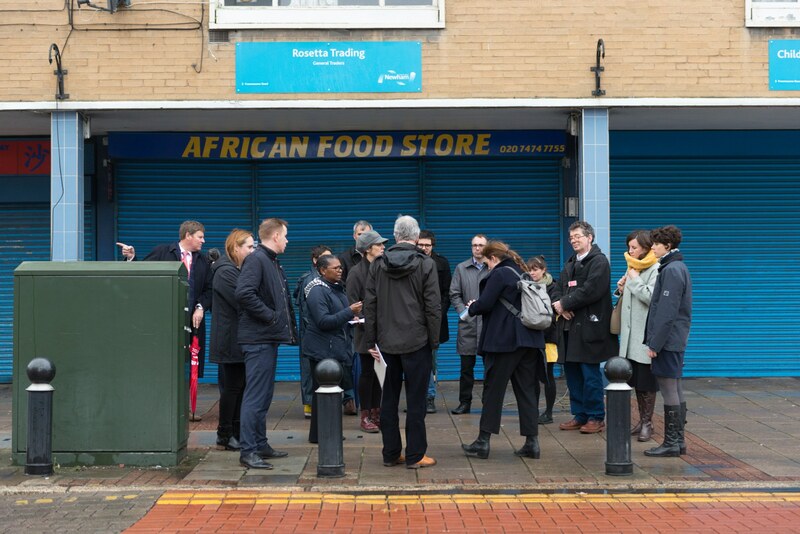 Over on Freemasons Road, Hannah Lambert outlined Newham council's plans to redevelop a couple of hundred houses and shopfronts on and around the street into 800 or 900. The Mayor of Newham’s target for affordable housing is 50%. This scheme will aim to hit that, and there's a Residents' Charter and Shopkeepers' Charter setting out the current occupants' right to return. 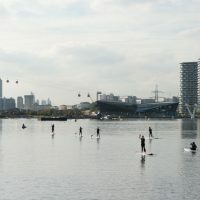 Newham council hopes to co-design this with the community, and improve social connectivity to the river. In five years’ time, I want to see everyone who I work with still living here. Dividing the two sides is a double line of train tracks. On the bridge overlooking them, Dave Arquati from TfL explained how two new sets of stairs will be able to accommodate greater flows of people both arriving via the Elizabeth Line, and commuting further east to Royal Albert Dock when that opens almost half a million sq ft of office space. New DLR trains will also bring an increase in frequency and plans for additional services will be considered to reflect future passenger demand. 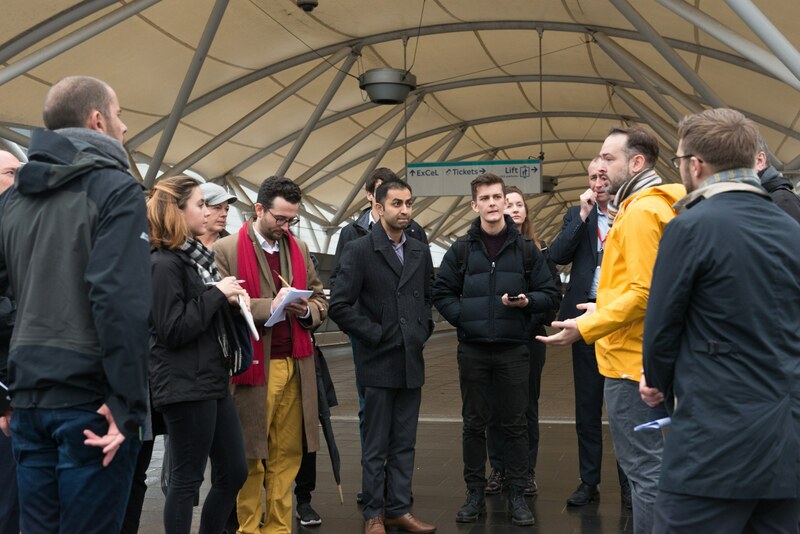 Presentations from the People’s Empowerment Alliance for Custom House (PEACH), TfL, the Royal Docks team, Newham council, and ExCeL provided further context for the teams. 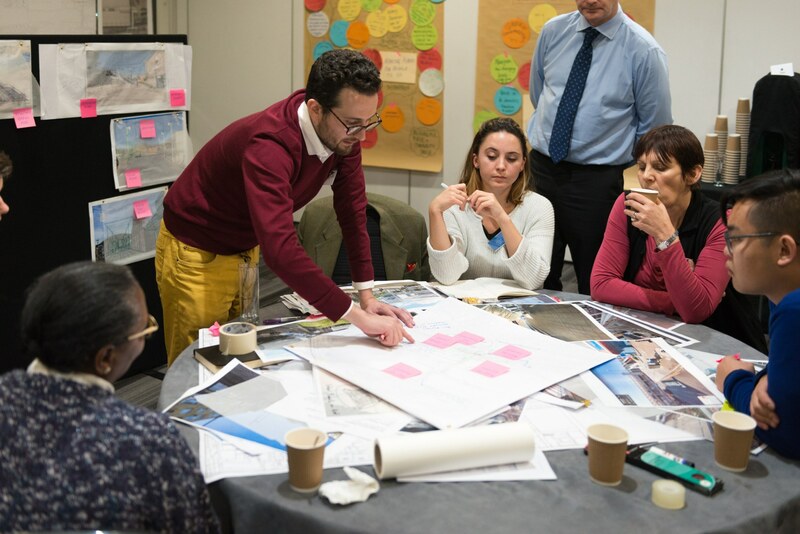 The rest of this initial day was devoted to working together in groups that combined architects with stakeholders to sketch out quick ideas using maps, tracing paper, and piles of coloured card. The hope is that this place will be put back on the map, and become a destination. LYN Atelier and Urban Narrative garnered the commendation for a strategic invention furthering Good Growth. 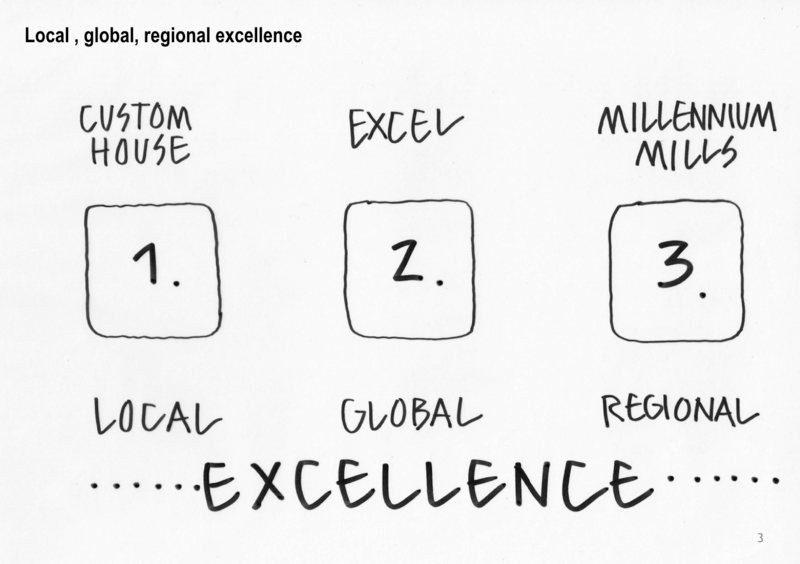 This team identified Custom House, ExCeL, and Millennium Mills on the south side of the dock as each centres of excellence in their own right: local, global, and regional. Linking these areas as distinct zones was key, the team argued, and so their differences should be celebrated rather than elided. LYN Atelier and Urban Narrative's slide demonstrating how to connect the three areas. The team commended for a game-changing intervention were The Klassnik Corporation and the London School of Architecture, and it's not difficult to see why. This group altered the alignment of the Freemasons Road shopping parade, and then sculpted its roof into a sloping public space. The Klassnik Corporation and the London School of Architecture's diagram. This bold proposal was part of The Klassnik Corporation's submission. People are the movers and shakers in our design. Facilitator Daisy Froud commented, “As someone committed to finding ways to support better, more equitable conversations about how we plan and produce our cities, I felt happy and privileged to be able to help shape and deliver this charrette process. It was great to be in a room with such an energetic, active, intelligent group of people, all bringing different knowledge, intelligence and skills to the table, watching them debate and doodle." Judge the outcomes for yourself by downloading the links above, and let us know the ideas you'd like to see discussed by emailing the team on royaldocks@london.gov.uk. Perhaps more important than the differences between them, however, are what the submissions had in common. 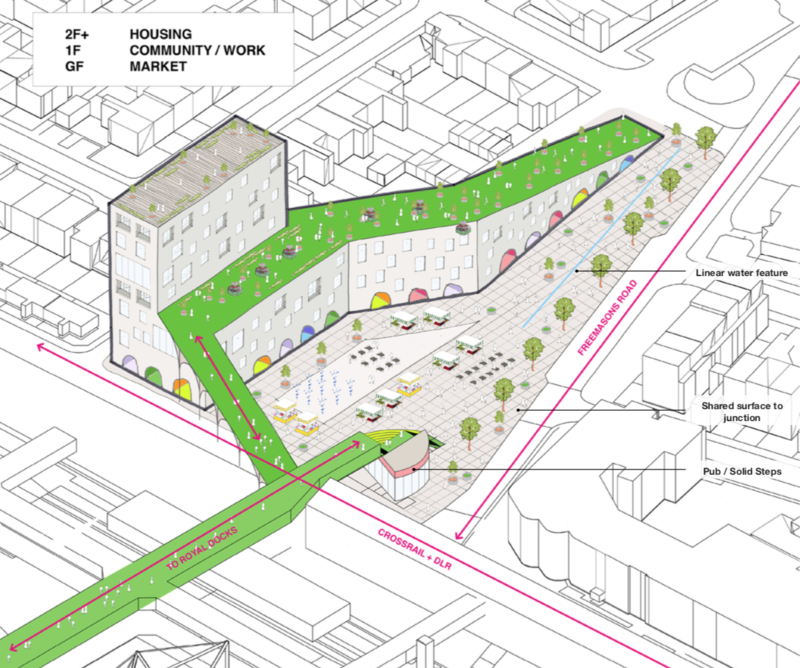 Almost all proposals include a larger, improved public square on the Custom House side of the tracks, and explore ways of making Freemasons Road more pleasant, safe, and useful — and so more of a destination in its own right. They also make the most of the waterfront. As one delegate pointed out, the dockside is one of the few south-facing waterfronts in London that is more-or-less unused. Barges, jetties, promenades, and lidos were all proposed as ways of making this enjoyable for everyone. The Royal Docks has the potential to be the best regeneration project in the world. As we said above, winning doesn't necessarily mean that these ideas will get developed. But they're here to inspire us all to a vision of what the Royal Docks and Custom House could be. 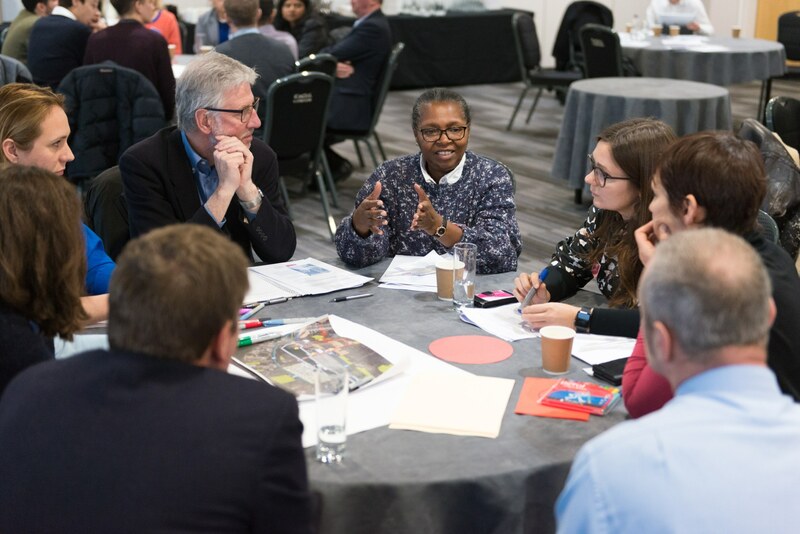 This charrette was only the beginning of a conversation we're hosting about the Royal Docks by and for the people who live and work here, which will be happening throughout 2019. It will be a highly participatory process, and everyone will have an opportunity to share their views, so watch this space. In the words of Royal Docks team programme director Dan Bridge, "The fun starts here. The Royal Docks has the potential to be the best regeneration project in the world." But that can only happen by working together.